There’s no better time to be a fan of Star Wars: The Clone Wars. 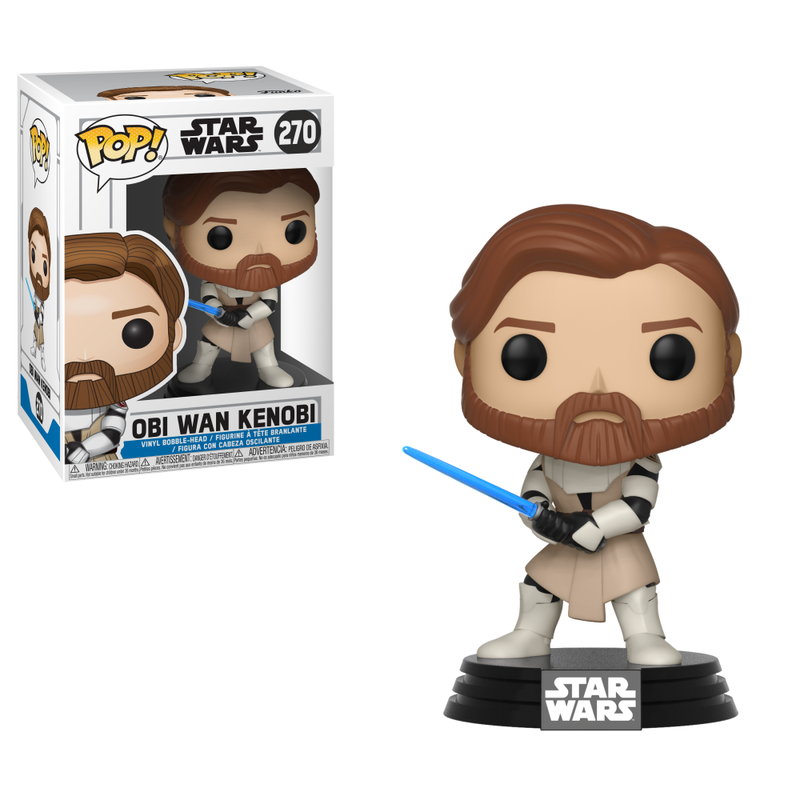 With the animated series reaching its 10th anniversary, new episodes on the way, and a StarWars.com re-watch in progress, Funko couldn’t have picked a more perfect time to release a new line of Pop! collectible figures based on the show. If you’ve ever wondered how a Star Wars Pop! goes from concept to store shelves, Funko Design Manager Reis O’Brien recently gave StarWars.com a peek behind the collectible curtain. StarWars.com: Are you a longtime fan of The Clone Wars, or did you have the chance to get acquainted with the series for this collection? Reis O’Brien: I’m embarrassed to admit that even though I am a lifelong Star Wars fan, I never watched Clone Wars until very recently. It was something that people always told me I should watch, and I always intended to get around to it, so when I heard that this project was coming up, I started watching it. But I still haven’t seen the whole series. Luckily, our concept designer on this project, Mike Martin, knew enough to fill in the gaps. He was a massive help on this project. StarWars.com: Do you have a favorite moment or episode from the series? Reis O’Brien: I think I would have to go with the “Ghosts of Mortis” episode. It was simply dripping with Jedi lore and Anakin being shown his future, and his reaction to what he will one day become was a seriously heavy moment. 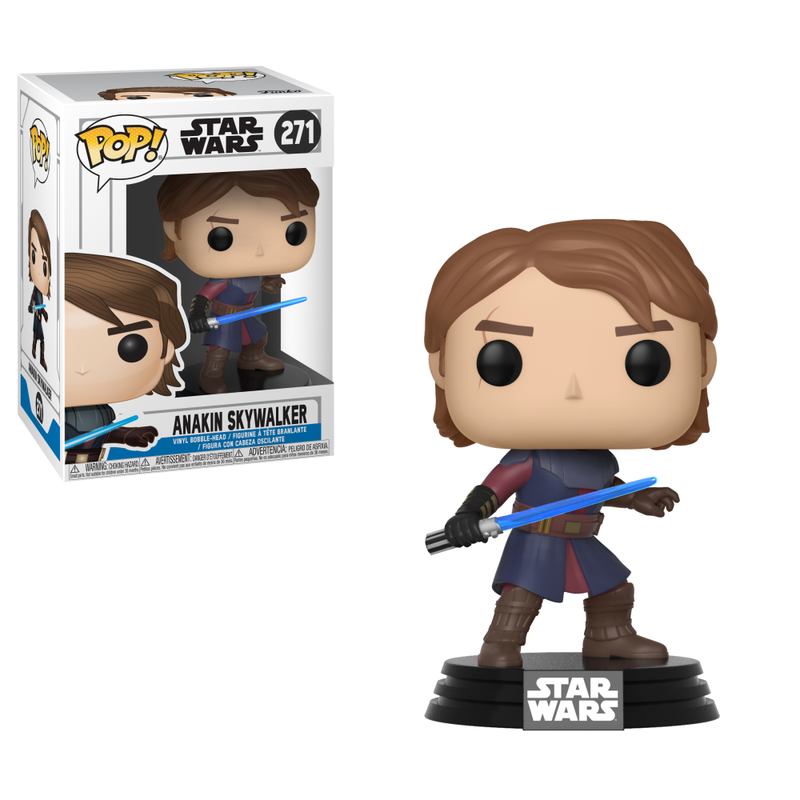 StarWars.com: How are the specific costumes and appearances chosen for a Pop! collection like The Clone Wars? Reis O’Brien: We picked our own characters and tried to find the most iconic looks for those characters. Once we do that, we run the list by Lucasfilm. Sometimes they may make suggestions for a different costume or maybe a character we hadn’t thought of, so it can be a truly collaborative process. In this case, we knew exactly who we wanted to do first and the Lucasfilm team agreed 100 percent. There’s a lot of facets to keep in mind when choosing who to produce in toy form; who are the stars of the show, who are fan favorites, what scenes should we think about representing. Lucasfilm can be a big help in those moments as well. 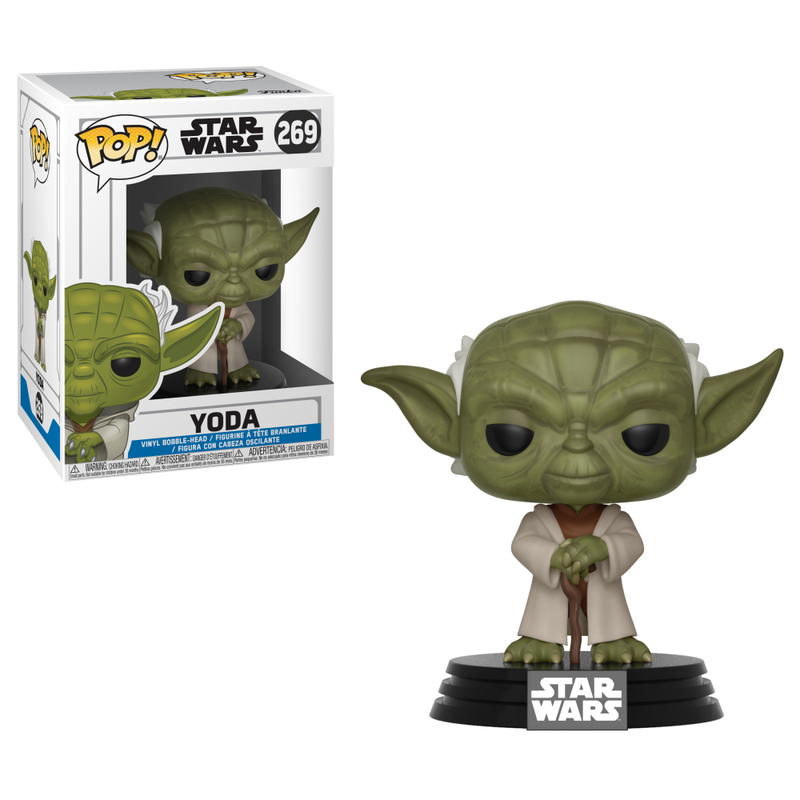 StarWars.com: What is the typical amount of time it takes to get a new Pop! on the shelves, from design to production? Reis O’Brien: That can vary greatly. Ideally, we like to work about six to nine months out. But because Funko is known for their speed, we are usually working around the six-month mark. We’ve done Pop!s faster than that in the past, because sometimes you got to strike fast when an opportunity arises, but we try to keep those moments to a minimum. StarWars.com: Are the small details like the pattern on Ahsoka’s belt particularly challenging? Reis O’Brien: They can be! When you’re designing a stylized, small collectible, there’s always this fine line you have to walk when it comes to details. On one hand, we want to make the figures as detailed as possible to properly represent the characters, but on the other hand, the diminutive nature of the Pop! format can shrink details down to a point that they aren’t practical, because they can be lost to the naked eye. Also, we have to keep in mind that on a manufacturing level, there’s only so much our factory can accomplish at that size while trying to keep them at a $9.99 price point. So we try to simplify things if possible. And on some occasions, tinier details may need to be omitted. But we put a lot of thought into decisions like that. 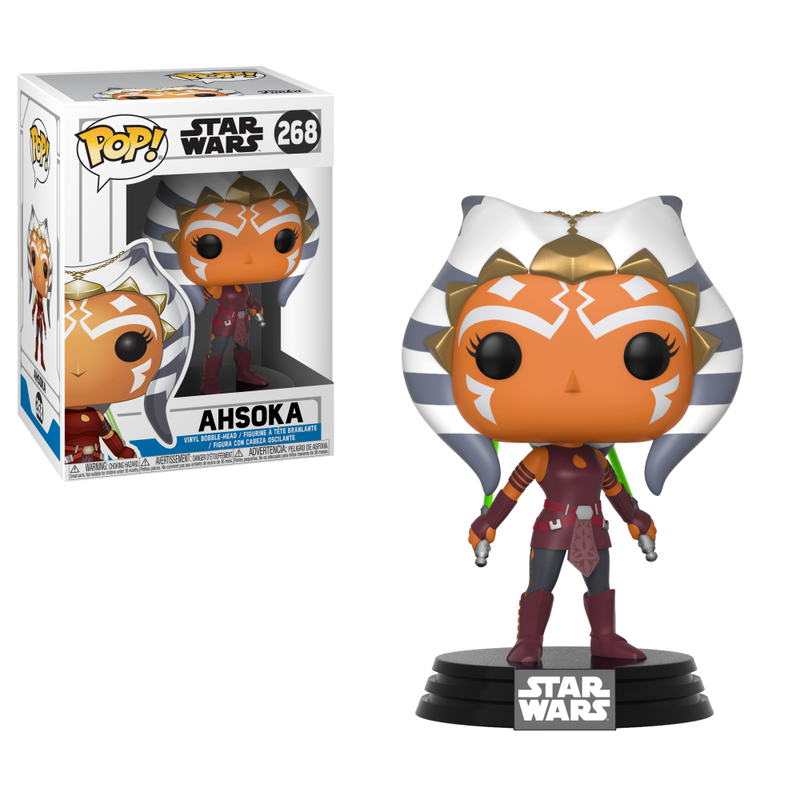 StarWars.com: Do you have a favorite little detail from the new Clone Wars Pop! figures? Reis O’Brien: I don’t know about a little detail on any one particular Pop!, but the poses on these are absolutely sublime. And all credit for that goes to our concept designer, Mike Martin, and our sculptor, Amanda Brock. There’s a lot of life and character in the poses they gave the figures. Kelly Knox is a freelance writer in Seattle, WA. She shares her love of Star Wars and all things geeky with her daughter by creating kid-friendly DIY projects. You can find her on Twitter at @kelly_knox.